“What good is it, my brothers, if someone says he has faith but does not have works? Can that faith save him? (James 2:14). Today we return to the book of James and pick up our study in chapter 2, verse 14. In keeping with the central concern of this book, we have been considering how authentic faith responds to the various trials of life. We have seen that authentic faith rejoices in trials, seeking God’s wisdom to respond to them in ways that produce perseverance (1:2–11). In the midst of adversity, true faith recognizes that God is the source of good gifts and never the temptation to sin (vv. 12–18). Authentic faith means that we become doers of the Word and not hearers only (vv. 19–25). Obedience flows from authentic faith and is expressed in the bridling of the tongue and the equal respect of all believers regardless of financial status (1:26–2:8). Those who do such things act in accordance with the “royal law” of Christ, and because of their living faith, they can look forward to the mercy that they shall receive from the throne of grace (vv. 9–13). You may have noticed that thus far in his epistle, James has dealt harshly with those who, while claiming to be Christians, are not doing good works based on the “royal law” of Scripture. Implicit throughout the verses preceding today’s passage is the assumption that true faith always produces good works. Beginning in 2:14, this assumption is made explicit in one of the more difficult passages found in this epistle. Over the next few days we will discuss how the teaching of 2:14–26 on faith, works, and justification contributes to our understanding of the Christian life. A faith that fails to produce good works is no faith at all. For example, if a person claims to be a believer and does not care for others, he does not have a living — and therefore saving — faith (vv. 15–16). Rather, his faith is dead and ineffectual (v. 17). We will see over the next few days that though our good works are by no means meritorious, if we do not have them, we do not have faith. 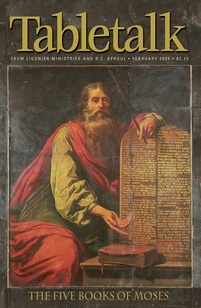 The works that James discusses in 2:14–26 are the works done in obedience to God. While such works can take a variety of forms depending on the circumstances in which we find ourselves, today’s passage focuses on the need to care for the poor. Unfortunately, far too many Christians have neglected the care of the poor and thus are not being obedient in this good work. Consider the town in which you live and see what you can do to help the poor in the name of Jesus.